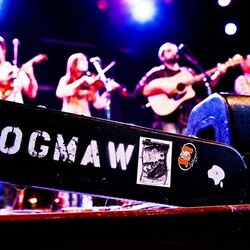 Rarely does a band named after something so disgusting end up yielding music as tasty as HogMaw’s. Landing somewhere between Moldy Peaches and Black Mayonnaise on the list of Bands Named After Food You Don’t Want to Eat, HogMaw (that’s fancy talk for “pig stomach”) offers a decidedly palatable blend of back-porch country music that is helping to usher decades-old Appalachian sounds into the 2010s. Obvious touchstones are artists like Sam Bush, Del McCoury, Old Crow Medicine Show – folks who revere the values of their bluegrass forefathers (technical skill, songwriting chops), but who aren’t afraid to apply them in new, adventurous ways. Prior to forming HogMaw, Baldwin, mandolin and banjo player Colin Reeves and bassist Garry Slick (whom astute local music fans will recognize from Dr. Slothclaw) played together in Lost Generation Bluegrass Band, a much more traditional, straight-laced acoustic outfit. That endeavor ended abruptly one night at the Camp Jam in the Pines music festival in New Jersey, when the boys were up playing in a late-night campfire jam. That was 2008; in the ensuing months, the York- and Philadelphia-based quartet earned a quick reputation for its rollicking, raw live show. 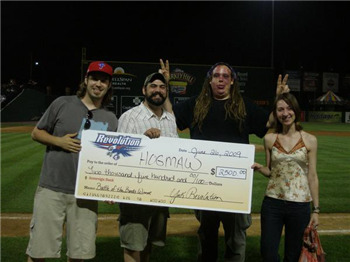 In addition to performing at Del McCoury’s annual DelFest in Maryland and on XPN’s The Folk Show with Gene Shay, HogMaw took home first prize at the 2009 York Revolution Battle of the Bands. The band also released its debut album in May 2009, a self-titled record that accidentally turned into a limited- edition run. Fans who aren’t able to snag a copy have reason for hope – HogMaw is working on a second album for a possible summer release. How did you guys meet? Three of us - Colin Reeves, Garry Slick and myself - were members of a group called Lost Generation Bluegrass (Band). We were performing at (Camp Jam in the Pines last year). After the festival, we like to kind of cut loose a little bit, stay up pretty late and get a little rowdy. Around 3 (a.m.), Ryann Lynch, our current fiddler, was walking up the road and just joined in the impromptu jam session. Within minutes of getting together, we decided we wanted to add her to the group. We formed HogMaw pretty much on the spot. It was just one of those rare things when the planets align. Does that happen a lot at Camp Jam? Nobody sleeps. (Laughs) It's one of those places where you sit around a camp fire and just kind of cut loose. Camp Jam takes place in Medford Lakes, N.J.. Is Lynch local? Actually, she's from New Jersey. She lives in the Philadelphia area. She actually works at (The Children's Hospital of Philadelphia) as a music therapist. Does the distance make it tough to schedule practices? It does make practices a little more difficult, but we're making it work. We do a kind of every-other-week thing where . . . we'll either go out there or she'll come out here. Our mandolin player actually also moved to Philadelphia a couple months ago. They carpool together and save on gas costs. How did you decide on the name HogMaw? We actually went around and around for months and months. Hog maw was one of those things that just . . . sounded like we're from York. Have you ever eaten hog maw before? I personally have not eaten hog maw. I know that Garry's family has a tradition of having hog maw on New Year's Day. So, at least somebody in our band has eaten hog maw. Apparently, it's pretty good. It's just roast sausage and potatoes and all sorts of goodies, and they just use the pig's stomach. Maybe we'll have a hog maw and HogMaw show someday. How are things different from Lost Generation Bluegrass Band? Actually, I think we're a completely different band. (With Lost Generation) we had really focused strongly on being very traditional. There (are) good things and bad things about that. One of the things that we really wanted to do was not necessarily limit ourselves from one particular genre. All of us come from a very wide background of musical influences . . . from heavy metal to jazz to . . . Frank Zappa. We kind of put all these things together along with our bluegrass roots. We really didn't want to tick off anybody that was a bluegrass purist or anything. We have tremendous respect for bluegrass music in this area. We really wanted to . . . take that idea of bluegrass and put our own spin on it . . . definitely leaning much more toward . . . the jam band sound. Does the violin add a different element? That just changed our whole setup. Colin and Ryann are able to play off one another so well. It's almost like they're having a musical conversation with each other. They can just trade licks back and forth . . . really effortlessly. (Lynch) is every bit as good as anyone else in the band. Are you looking to go regional now that two of your members are in Philly? When we first started, we were playing around York pretty much exclusively. We had a regular gig at The Glad Crab in Dallastown. Then, we have this show (at Philadelphia's North Star Bar), which is really big deal for us. It's a major club in Philly. Fall Out Boy played there in November. It's just an honor to be a part of that, and the fact that it's St. Patrick's Day (helps).We have been booked at a couple music festivals this summer, including the Camp Jam in the Pines again. I don't think York is necessarily separate from the greater Central Pennsylvania/Philadelphia music scene. Do you know any of the other bands on the lineup? We're familiar with the band Butterjive. They're out of Allentown. We're kind of fans of theirs. The other two, we're not so familiar with, but it should be an interesting evening. I'm guessing you're going to play some traditional Irish tunes? I think maybe one or two. It's not a tremendously long set. We're definitely going to play some of our best material . . . and mostly original music. Ninety seconds might not be the ideal set for a bluegrass jam band, but HogMaw made it work Friday at the York Revolution's Battle of the Bands. The York/Philadelphia-based band took center stage at the competition Friday in the middle of the third inning and had a minute-and-a-half to knock it out of the park with their sound. They did, topping second-place finishing band Soveren and third-place band Kingsfoil. The winners were determined by fan voting. 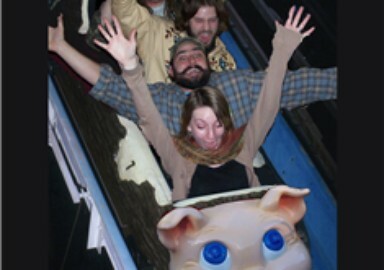 "It was great, pretty surreal," said Matt Baldwin, lead singer and guitar player for HogMaw. HogMaw, which also consists of bass player Garry Slick, fiddler Ryann Lynch and mandolin/banjo player Colin Reeves, won $2,500 for its first-place finish. The band also won a right to perform during the Rev, White and Blues game Monday, July 6, and after the game during the fireworks show. Baldwin said Hogmaw has been together for a little less than a year. Watch all of the bands' performances at www.videoyork.com. HogMaw 2009 - Self Titeled HogMaw EP MelloD Studios. Dave Fourney Engeneer HogMaw Produced. In 2013 HogMaw recorded and released their 2nd Album "Ideal Proof" a collection of traditional String Band Music from the 1920’s and 30’s. The Band reached out to Dom Flemons formerly of the Carolina Chocolate Drops to produce the album. They met in 2011 when HogMaw opened for the Drops at the Capitol theater in York PA . the album was recorded in a 4 day marathon session where the band and Dom lived together at the studio and created what Flemons descibed as joyful testimate to HogMaw... true to the roots of Bluegrass Music but still showcasing the bands technical strengths. 2013 also marked the release of At Fest a Documentary film about the 50th Philadelphia Folk Festival. The Film Follows HogMaw as they perform on the Main Stage for the first time. The Sound Track features HogMaw's set from the festival as well as the music of David Wax Museum and Hoots and Hellmouth. HogMaw’s resume is getting hard to keep track of as they approach 300 performances. 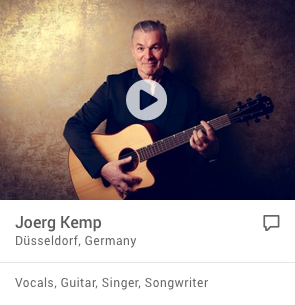 in the past 5 years These include major musical events such as 2 performances at the Philadelphia Folk Festival, 2 appearances at DelFest in Cumberland MD,6 at Camp Jam in the Pines in Monroeville NJ, 3 at Allentown, PA’s Musikfest, They headlined the 2013 New Jersey Folk Festival and have opened for National acts such as GRAMMY award winners The Carolina Chocolate Drops, Southern Rockers the Marshal Tucker Band Bluegrass legends like Peter Rowan, The Seldom Scene, and Tony Trischka. HogMaw also appears on the Jam Band scene and has the honor of opening for jamgrass powerhouses Cornmeal, Hackensaw Boys, and Cabinet. They have also had many headlining performances of their own at major hot spots for original music such as The Trocedero, World Cafe Live, Tin Angel, and North Star Bar in their homebase of Philadelphia. The Blairstown Theater, The Strand Capitol Theater in York PA, The Sellersville Theater, The Historic Strand Theater in Lakewood, NJ and various clubs all over the northeast. The band headlined the 2010, 2011, and 2012 Bucks Co. Bluegrass Festival at Snipe’s Farm in Morrisville, Pa and also won the 2009 York Revolution Battle of the Bands where they played for a full stadium of 7000+ people. HogMaw is multi instrumentalists Matt Baldwin and Colin Reeves sharing duties on Guitar, Mandolin and Banjo and Ryann Lynch on fiddle and foot percussion. Joining the band in 2012 is Johnny Calamari on upright bass.